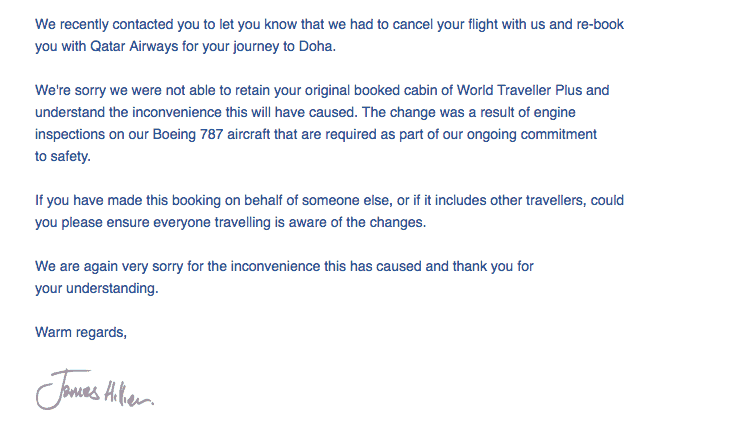 British Airways Doha route downgrade and compensation seems to be a common thing these days. I had a booked flight from Doha to London with British Airways in Premium economy. At the end of February, we received an email that the flight has been cancelled. Knowing that BA and Qatar airways combine flights on this route, it wasn’t a major surprise. Not excited about it, but there is not much I can do. I changed the tickets to Qatar Airways economy class, and I was asked to submit a compensation request and refund once I have flown the sector. Since then, I had an emergency flight to Canada, and it was also booked in Premium economy which earned me Bronze status with British Airways. 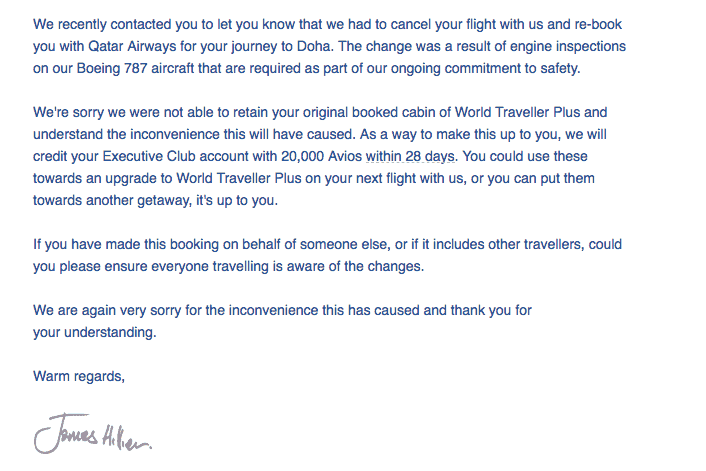 Yesterday I received an email from British Airways saying they are very sorry that my Doha flight was cancelled and that as compensation they will offer me 20,000 Avios. Yay, I will not say no to free Avios. I checked my account now and the 20,000 do appear in my balance as Service Adjustment. Well, he received the email a few minutes later, but it was missing the compensation part. Initially, I didn’t think it had to do anything with my status (my husband is Blue), but it looks like BA is offering compensation of Avios only to status holders rather than everyone affected from this downgrade. I do see the point of “keeping happy” your frequent flyers especially when they are moving to a more spending model but still when you are a family it does seem a little odd. I am curious now when I submit my claim for the downgrade and refund what they will offer. I would have much prefered to be given the Tier points as I have several more flights coming since I am chasing Gold, but now I will need to book an extra flight somewhere because of this downgrade. Pretty sure you are entitled to cash compensation as wel for the downgrade of both tickets. BA cancelled a flight last year and I ended up in AA in economy but was in PE for BA. I ended up getting a few bucks back for both tickets. No avios.